According to reports, Apple has confirmed to developers that it has no plans to bring Siri, currently exclusive to the iPhone 4S, to any of its older devices. In an argument that developers were planning to implement unauthorized access to Siri on the iPhone 4, iPad 2, and iPhone 3GS, an anonymous coder contacted the company suggesting to release a paid upgrade that would allow users to purchase Siri functionality. Apple responded clearly regarding the suggestion. 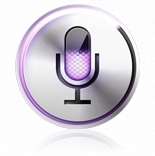 Siri is not coming to any older device anytime soon. While Siri functionality is not officially coming to older mobile devices in the near future, Apple is still facing troubles including countless users who have already accessed Siri on older Apple handsets, including the iPhone 4, and even the iPad 2.